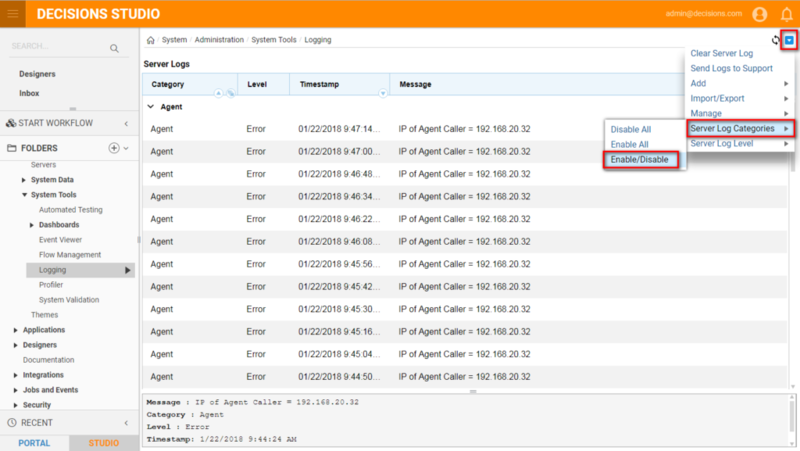 The Client Log Viewer lists warnings and errors originating from client-side processes. These client logs can be saved to use when troubleshooting performance issues. Logs can also be used to trace frequent errors, allowing you to prioritize maintenance or provide information for users. To view client logs, navigate to the folder System > Administration > System Tools > Logging	and click the Client Log Viewer	link below the address bar. Begin by navigating to the folder System > Administration > System Tools > Logging	. Server logs display by default. To view the client logs, click the Client Log Viewer	link under the address bar at the top of the screen. 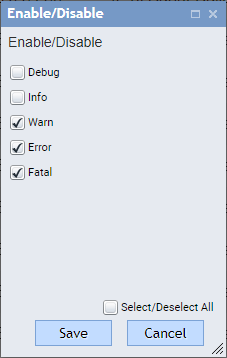 The Actions menu offers several log-related actions. If the Server Log Viewer	and Client Log Viewer	do not display data, it is necessary to enable logging. From the Actions	menu, select either Client Log Categories	or Server Log Categories	, depending on which is of interest. Either all categories can be enabled, or certain categories selected. Each client log is listed by category. The log level, date, time and the system message display. Sort the logs by mousing over the appropriate header and clicking the arrow that appears directly to the right of the header name. 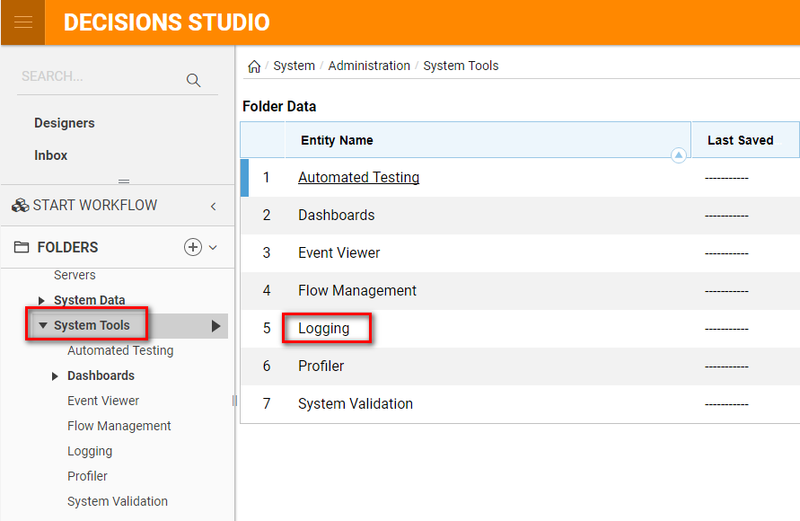 To save logs, click the Actions	menu and select Save Client Log	. Navigate to a location and click Save	.